Suzlon’s new S128 wind turbine generator on the 2.6 MW platforms is shifting the paradigm in market. more than 13070 sq. meters. The S128 wind turbine generator is the latest addition to Suzlon's product portfolio and features the time-tested Doubly Fed Induction Generator (DFIG) technology. It also consists of the country’s largest rotor blade measuring 63 meters and has a rotor diameter of 128 meters. The SB 63 blade has been engineered and developed by Suzlon utilizing carbon fibre that provides the capability to utilize thinner aerodynamic profiles. 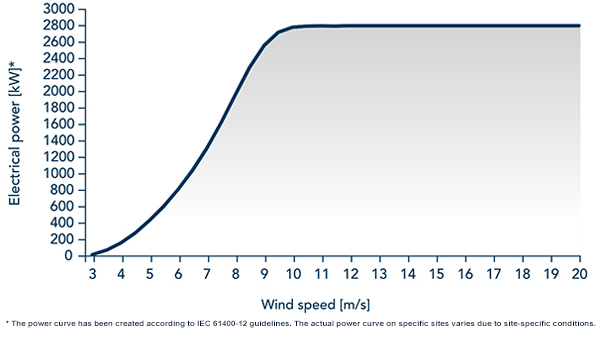 This technology provides excellent performance at low wind sites. The S128 series offers ~33% more swept area (13,070sq.m.) and is expected to deliver a massive increase in energy generation compared to the Suzlon S111 wind turbine generator. It is designed to optimally harness wind resources at higher altitudes making low wind sites viable. This next generation turbine is well equipped to improve energy yield while protecting customers return on investment (ROI).